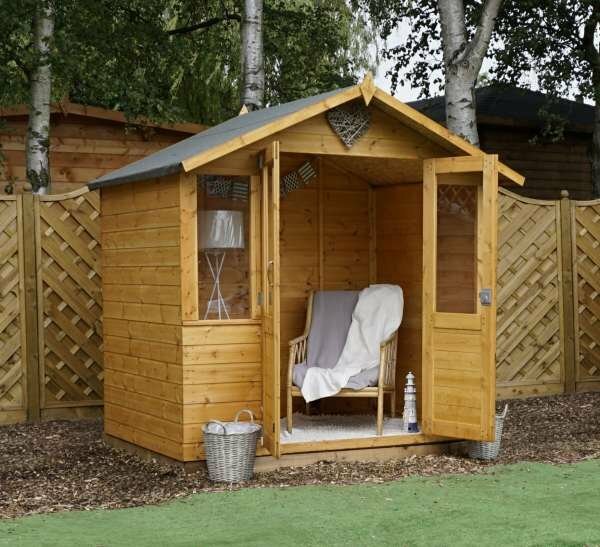 Who wouldn’t want their own little haven in their back garden? 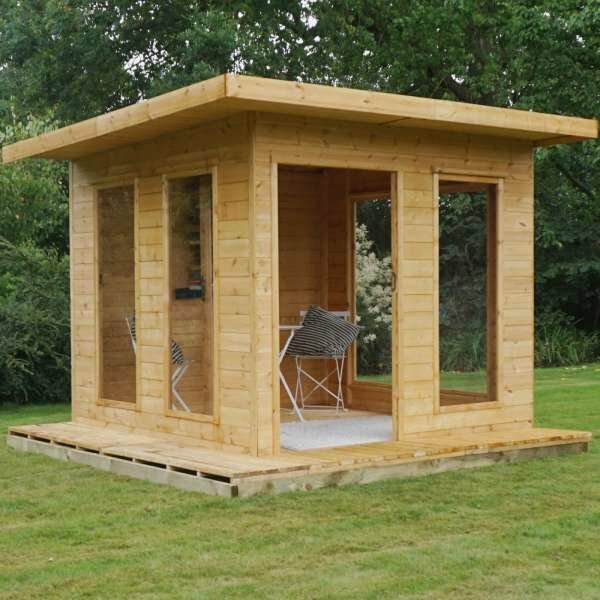 This stunning Leicestershire Summerhouse has a ‘cabin in the woods’ sort of style that appeals to many. 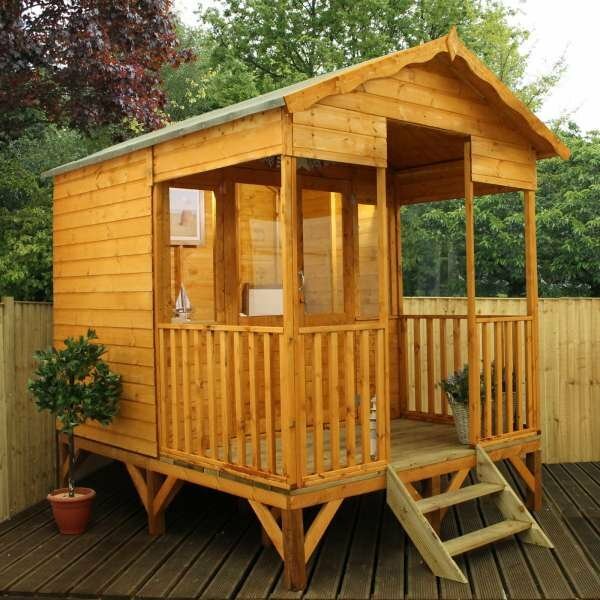 It’s perfect for creating additional room away from the home. 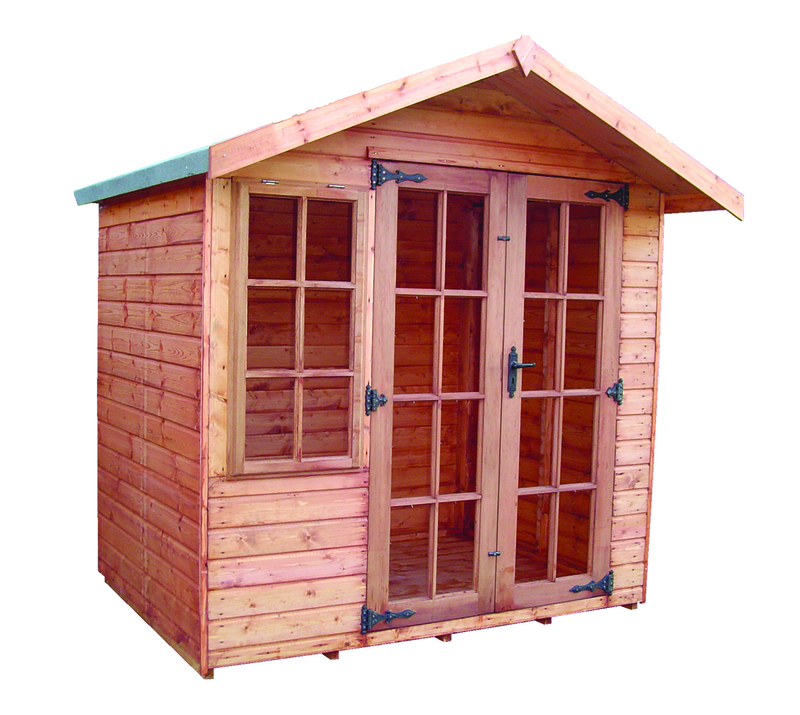 It’s manufactured with thick tongue and groove cladding on 45 x 34mm planed framing. The pre-hung single part glazed hardwood door comes with beautiful hinges and handle. 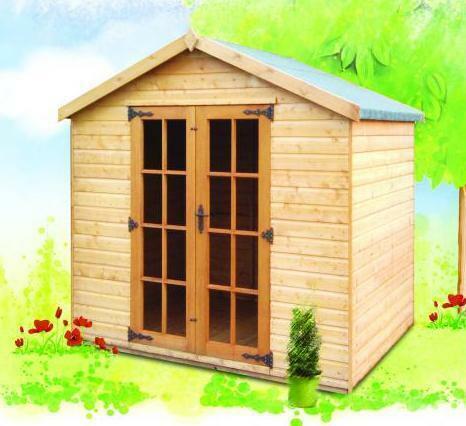 It’s also fitted with a mortice lock and two keys for your peace of mind. 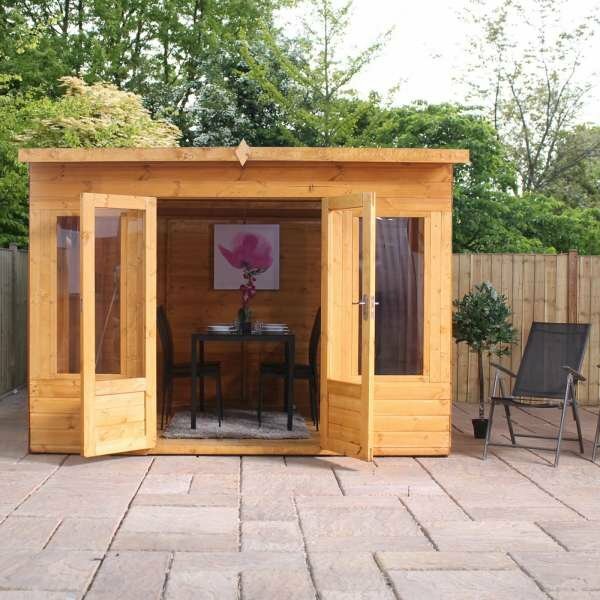 Both the window and door are fitted with toughened glass and the window is opening to allow in that fresh Summer air. 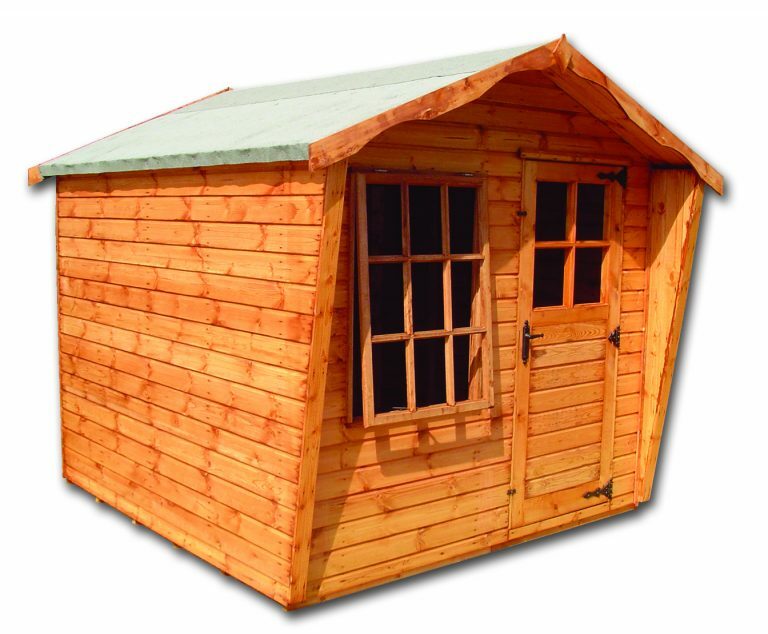 The roof has a curved 300mm overhang and the internal eaves height is 6ft. 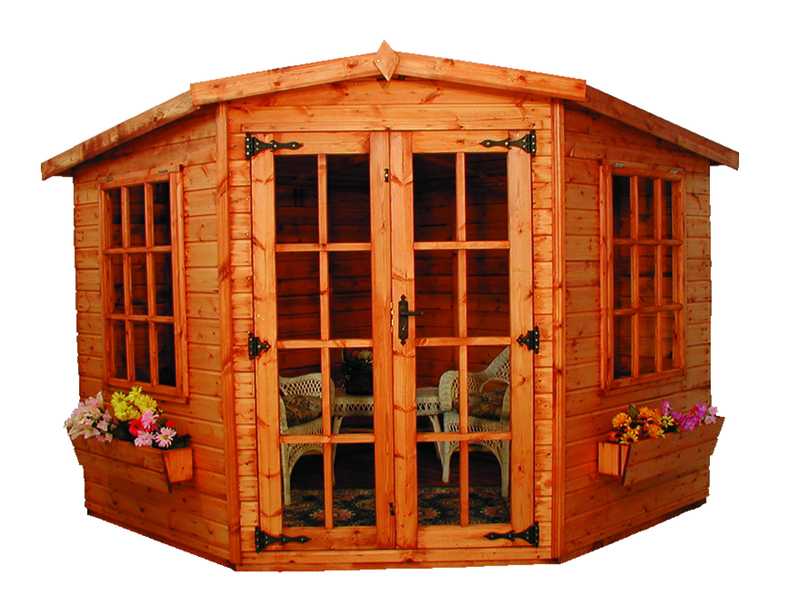 Your choices: 8ft x 6ft (2.4m x 1.8m) | 8ft x 8ft (2.4m x 2.4m) | 10ft x 6ft (3m x 1.8m) | 10ft x 8ft (3m x 2.4m) | 10ft x 10ft (3m x 3m) | 10ft x 12ft (3m x 3.6m). 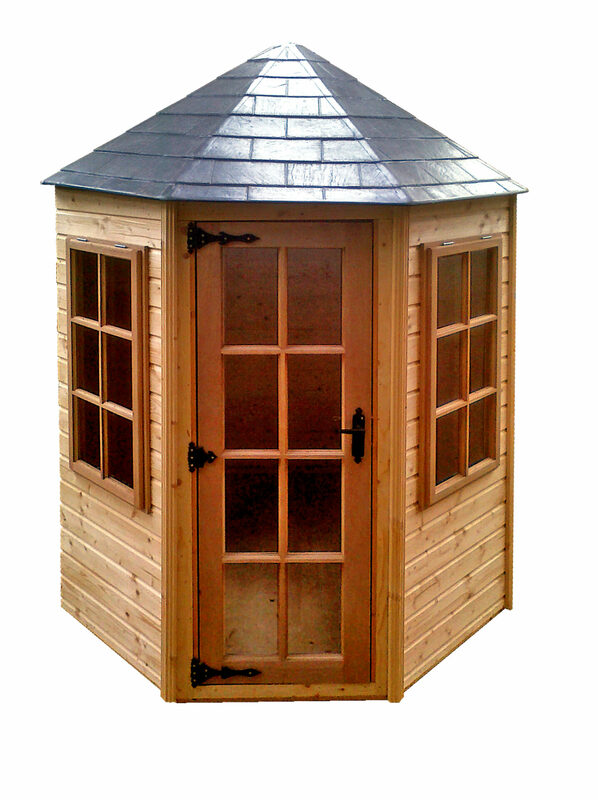 Apex roof, cabin style summerhouse with angled sides. Manufactured from thicker than average tongue and groove cladding including floor & roof on 45x34mm planed framing. The single part glazed hardwood door comes pre hung with decorative hinges and handle with a fitted mortice lock and two keys. The hardwood window is opening. Toughened glass is standard as is the 300mm (1ft) roof overhang and shaped front fascia boards. Internal eaves height is 1.8m (6ft).